Why sacrifice comfort in the pursuit of performance? 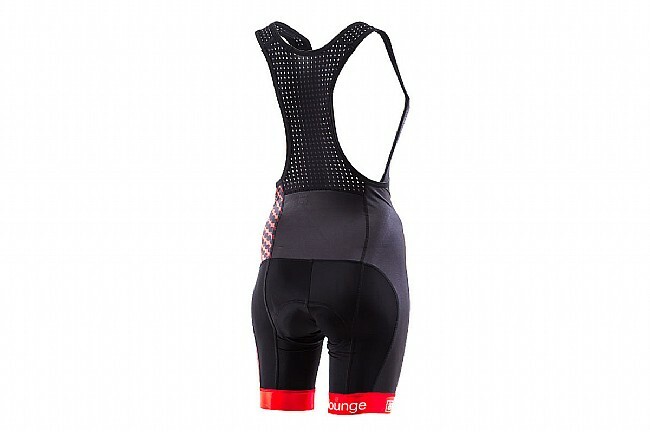 With the ProCorsa Women's Athletes Lounge Bib Short, you won't have to. Crafted in Romania with premium Italian fabrics, this 6-panel compressive short features flat-lock seams for a chafe-free fit that improves circulation to your legs, keeping you feeling fresh while reducing the chance of cramping or injury. A comfortable variable density foam anatomically-optimized women's chamois from Nortex provides all day comfort and support and features a carbon-printed top sheet to reduce chafing and bacterial build-up. At the leg openings, we've included a generously sized compression band with minimal printed silicone grippers, reducing pinching or chafing and keeping your silhouette streamlined. 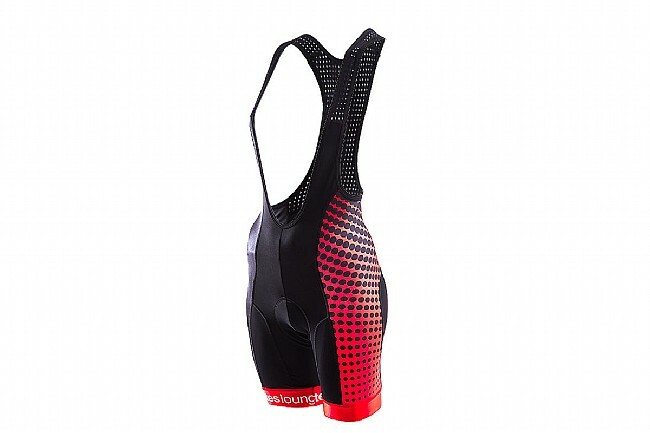 The modern asymmetrical design will keep you looking pro, even if you're just out for a recovery spin.